Come visit our first ever Pumpkin patch at Hill Creek Farms. Pick from an assortment of pre-cut pumpkins and more from our pumpkin patch. Enjoy live music, Great Food by Rastelli’s, Barrel Train rides for the children ($4.00 per rider), hayrides for the family (free), free face painting, 2 wonderful Inflatable moon bounces designs ($4.00 per ride), plenty of cornstalks, indian corn and pumpkins for your home decor and fun, and a firepit for warmth. Mr. Apple will be joined by our newest member Mr. Pumpkin, great photo opportunity for the children, free wine tasting by Auburn Winery, free playground activities, enjoy Gem Stone mining Company with your child, wacky duck race. Enjoy great food prepared by Rastelli Market Fresh and of course, don’t forget about the hot apple cider donuts, hot apple cider drinks, apple cakes, caramel apples, Cider slushies, but now add everything Pumpkin such as Fresh Pumpkin pies, cakes, and more! Bon fire will be blazing as well, toast some marshmallows that can be bought at the store (sticks and all)! $1.95 lb. for apples. Play for what you pick. Sunflowers - $1 each, you cut. If you happen to pick an apple and it has a mark, we’ll take it back at no charge. This allows us to use the apple in our bakery, our cider mill or kitchen as a salad, fruit drink, donut and more. 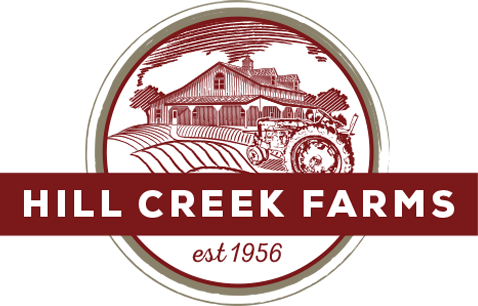 At Hill Creek, every apple has a purpose and by keeping our orchards clean, prevent waste and bees from harboring.